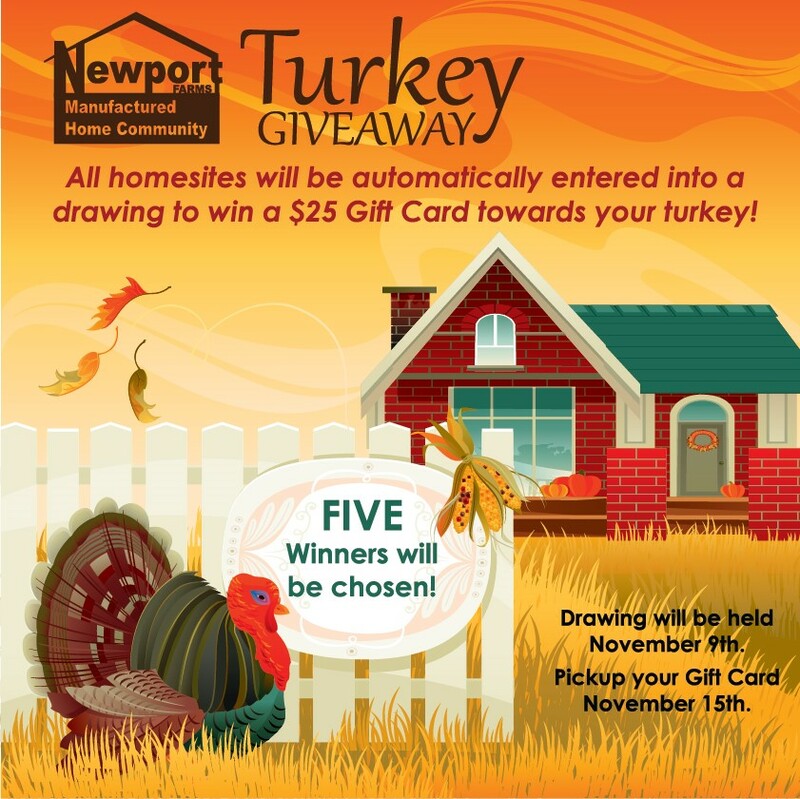 Newport Farms is hosting a drawing for all Newport Farms MHC homesites where FIVE lucky winners will be chosen to receive a $25 Gift Card towards your turkey! You are automatically entered! Drawing will be held on November 9th. Winners will be be able to pick up their Gift Card on November 15th.